FINALIST in ForeWord Book of the Year Award, Mystery category. Unexpectedly thrown together with Camille, a social worker who takes the child into her own home, Gus falls hard. The first woman who’s stirred his soul since his Elsbeth, Camille is polite enough toward him - but her own dark secrets have her pulling away despite the mutual attraction. We’d been skiing across the snow-covered field for twenty minutes when I heard the howl. The sound echoed over the frozen landscape, sending chills down my spine. Was it a coyote? A wolf? He slid to my side in a white spray of snow, courtesy of the fresh powder that coated the two-foot base. It had been swirling white since we started out in the murky dawn, hoping to get some exercise before we started our busy Saturday. At six-eight, Sig was taller than me. With broad shoulders, huge hands, and tree trunk legs, this man who’d stood by my side since childhood appeared a gladiator among normal men. But I knew his secret. He was an angel on earth, put here for the animals and children, sent to teach us how to be better people. I loved him fiercely, and he’d been my friend since I was five. We listened at the crest of the hill. I pulled back my hood, but the biting cold of the January gusts sliced into my face and neck, numbing my skin. This windy ridge, which overlooked the east side of the gently rolling Genesee Valley, boasted the most beautiful view for miles. Today I was almost too cold to notice. The cry came again. This time it was louder, more plaintive. Resolve stamped his features. He lifted his poles, pushing hard in the direction of the cry. As if to emphasize the urgency of the moment, a red tailed hawk shrieked, gliding in circles overhead. I tightened my grip on my poles and hurried after Siegfried, who’d already put some distance between us. I caught up when the hill sloped downward, and met him at the edge of the woods. He snapped out of his skis and stopped to listen again. I did the same, pulling my wool cap down around my ears. A whimper came from the deepest part of the woods. Siegfried spun toward the sound. 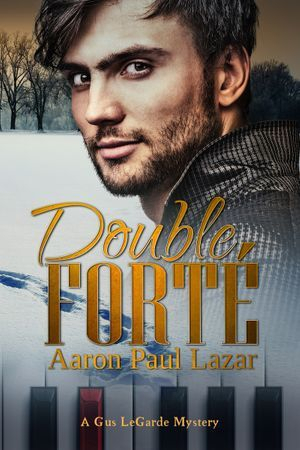 “Auf gehts.” He headed straight for the sound, crunching through the two-foot layer of snow that blanketed the forest floor, softly connecting silver birch to maple to oak. The silence was broken only by another wail from the troubled animal. The treck through the deep woods was impossible with skis, and we’d had to tromp one step at a time, our feet sinking to the ground and snow up to our knees. We found her fifteen minutes later, lying in the flattened snow. The golden retriever lay in the snow with her hind leg clamped in a rusty trap. Spots of red soaked the snow beneath her. She raised her nose in the air when she saw us and thumped her tail against the frozen ground, whining. I approached her, holding out my hand. “Shhh. It’ll be okay.” She sniffed my glove and began to lick the fabric. I pulled off the sweaty glove and reached for her ears, stroking them. When I ran my hand down her side, I realized she was pregnant. Her sad brown eyes searched mine and she lapped my hand. He’d studied a lot about the treatment of injured animals in my daughter Freddie’s veterinary clinic. I’d learned to listen to him. “I will be careful.” Siegfried spoke softly, but with purpose. “Eins, zwei, drei.” He applied his muscle to the contraption. After several nerve-wracking seconds, the jaws snapped open. The dog jumped up, hanging her rear foot. Siegfried unwound his scarf, gently wrapped it around the shaking dog’s leg, and lifted her into his massive arms.